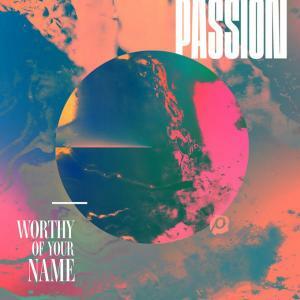 Download the Lead Sheet (SAT) for Glorious Day by Passion/Kristian Stanfill, from the album Worthy Of Your Name. 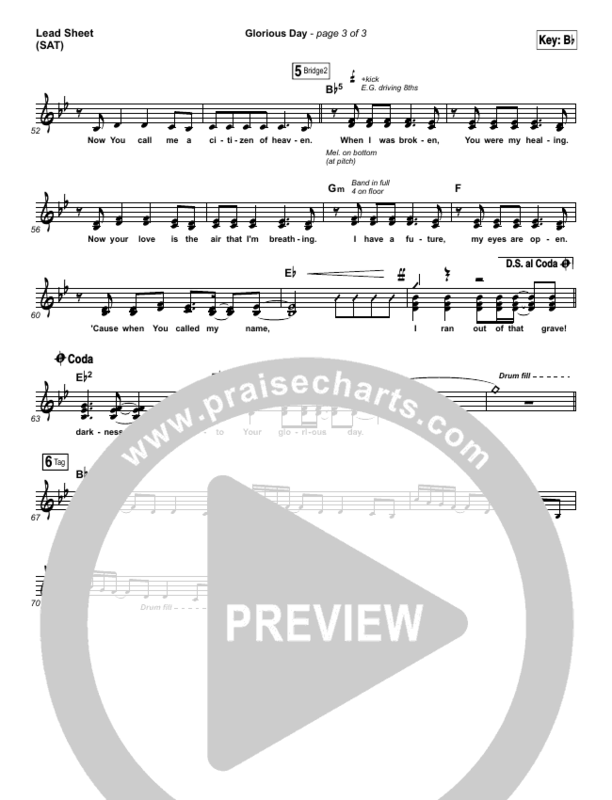 Arranged by Dan Galbraith in the key of D, C, E, Bb. 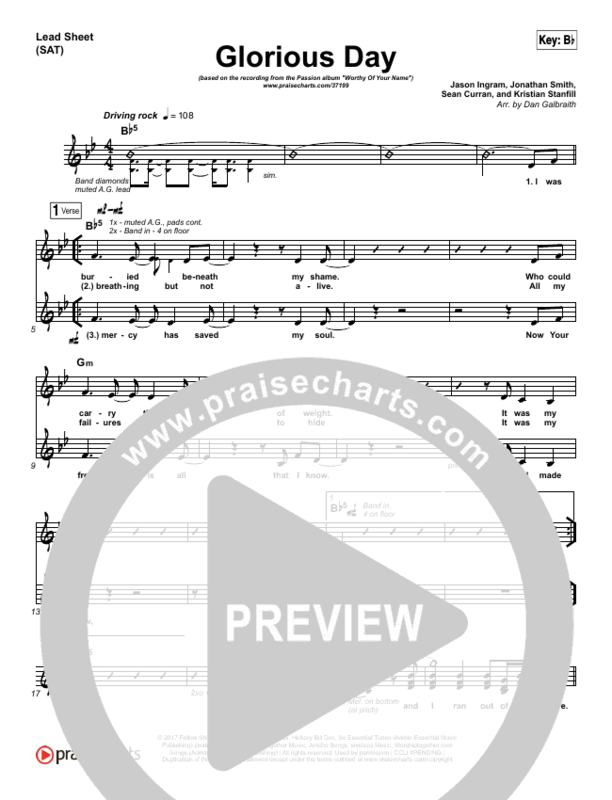 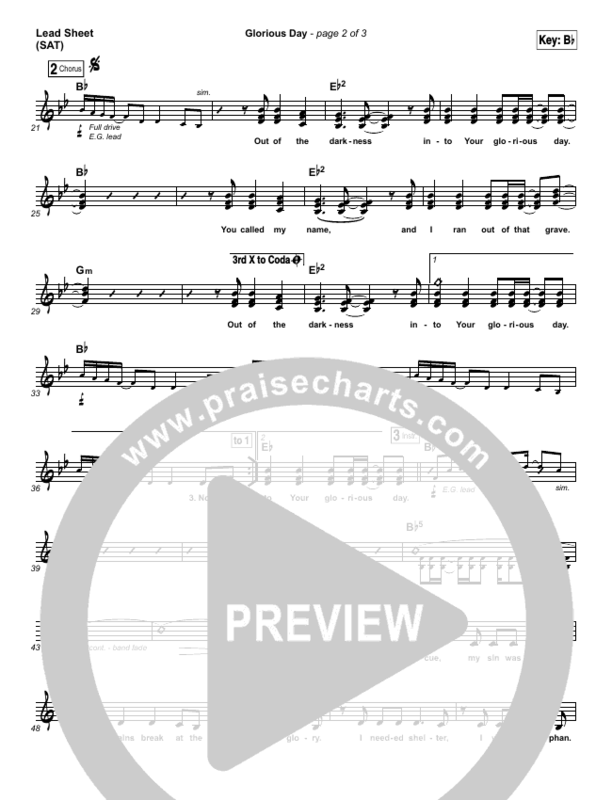 Products for this song include chord charts, lead sheets, choir parts, and the orchestration.